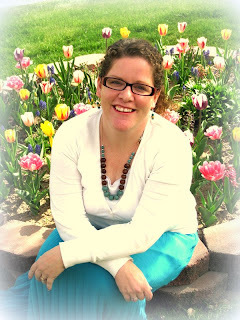 Sheena Boekweg is a staff member at Flash Fiction Online. Her novel FUNNY TRAGIC CRAZY MAGIC was published April 1, 2013 and her collaborative novel, ALCHEMY, will be released October 11, 2013. Sheena received an honorable mention in the Writers of the Future Contest. 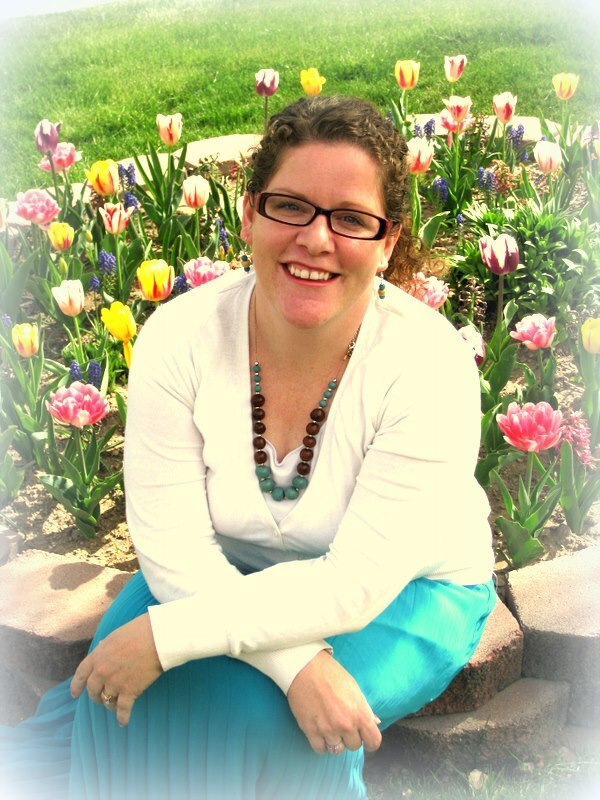 She is a mom of three, living in Ogden, Utah. Check out her official website, www.boekwegbooks.com, for up-to-date announcements about her books, and links for where to buy. 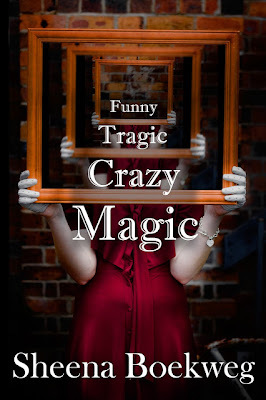 Buy the book Funny Tragic Crazy Magic. Buy the Kindle version Funny Tragic Crazy Magic. Connect with Sheena on facebook here! Don’t let anyone know you’re a freak. Larissa Alvarez is a witch. Magic was useful enough to make her pretty, but beyond transformation runes, Larissa has ignored her mom’s pleas to learn about her magical heritage on the grounds that it’s just too weird. But when her family is killed, and the powerful book of runes Larissa was supposed to inherit disappears, she realizes she’s not going to survive without magic. Worse still, she’s falling in love with her only ally, her best friend Joe, who has a secret that could kill them both. Now magic is the only way she can reclaim her heritage and save the boy she loves. Larissa dives into the world of magic she’s always ignored and finds herself caught in the middle of an age-old war between Witches and Mages. She may be poorly trained. She may not have anyone to trust. But it’s time to start making waves. Joi lives in a world that belongs to dragons. 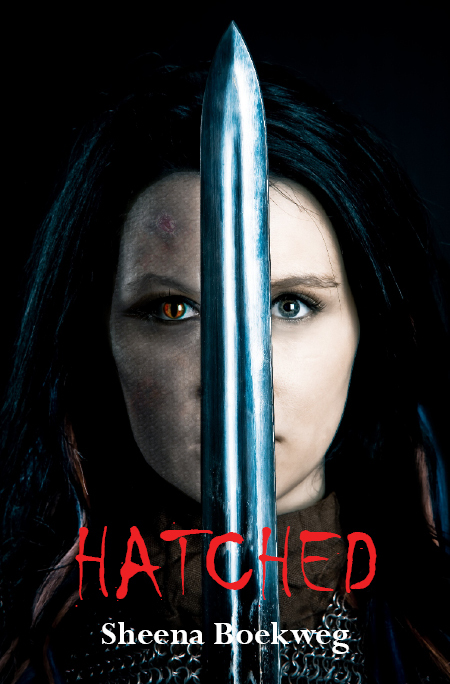 They terrorize the people of her village, stole away her father, and made her mother seem a stranger. They are the enemy, and Joi and her best friend Dia dream of running away to join the legendary Dragon Guard to kill those dragons away for good. But then, one dark night when the dragons came and Joi was all alone protecting a newborn child, she became infected with the Dragon's Bite, a disease which causes the human's blood to turn blue, their muscles turn to scales, and wings to sprout. See, all of the dragons were once humans, and those infected live on as creatures caught somewhere between dragon and human. Creatures with bright colored hair, extra strength, and magic, who chose to stand against the dragons their becoming, to fight for the humans as members of the Dragon Guard. But time is running out for Joi and Dia. With every speck of magic they use, Joi's burning the human out of her blood. In this world between Human and Dragon, Joi finds Connor. It's a sad thing, to fall in love midst battle, and loss, and Joi vows to save him, even though she knows he's half hatched. 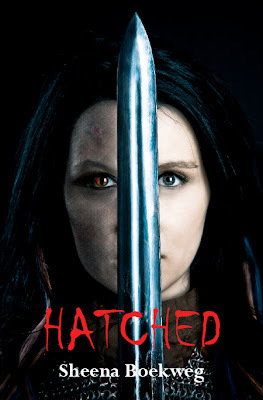 No matter the cost, Joi must find a cure before she hatches.